Every year it is a challenge to make sure that refit projects find their way to the Dutch refit specialists at Balk Shipyard. 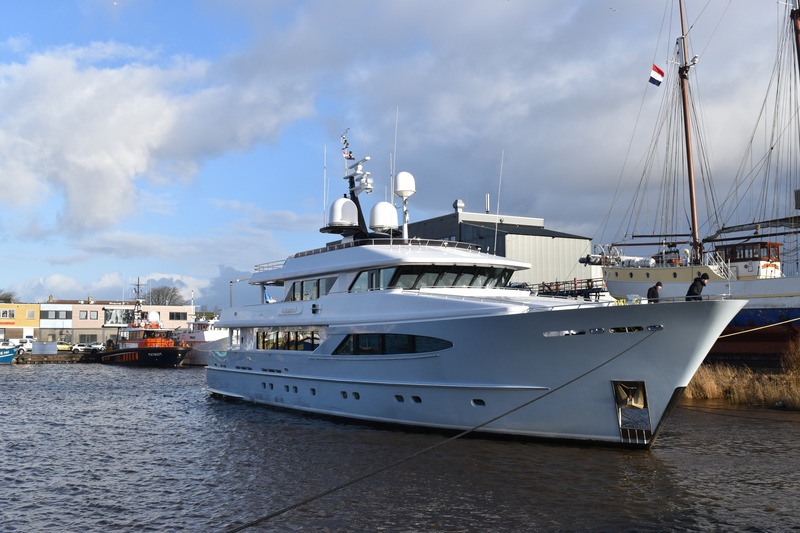 As business is already blossoming at Balk Shipyard with refit projects such as DANCING HARE, COPIHUE and VALERIA, the yard is proud to announce that ALUMERCIA is the yard’s newest arrival. A top-notch season as all refit halls are completely booked. ALUMERCIA, for sale since September 2017 at Edmiston, is a 37.69 meter explorer yacht built by Heesen Yachts in 2001. With her exterior design by Vripack and her interior design by Omega Architects ALUMERCIA is an elegant yacht created to explore the seas. Fun fact is that ALUMERCIA already joined Balk Shipyard with her first Owners for a refit in 2009. Her new Owner is also familiar with the yard as he granted the yard the refit project of his former yacht – the first ex. Turmoil – a couple of years ago. ALUMERCIA was recently sold (January 2018) as a result of joint efforts between Balk Shipyard and Edmiston as Balk Shipyard introduced the new Owner to the selling party represented by Edmiston during last year’s Monaco Yacht Show. Shortly after the sale ALUMERCIA’s new Owner decided to change the name into MY UNEXPECTED. Her refit will be all about preparing UNEXPECTED for some unforgettable journeys and beautiful encounters with nature and wildlife as her Owners planning to do a world cruise. UNEXPECTED is due to be relaunched in Summer 2018.